Absolutely no tech skills or previous experience needed! You’ll be able to set up multiple “Money Machine Pages” in minutes that can each drive you $333 per day in pure profits! Effortless profits in as little as 24 hours! In this review post let us find out whether all the above statements are true. I also like to inform you I am not associated in any form with this product and you can expect an honest and unbiased review. When it comes to make money online products reviews you can find many websites (Not all there are some genuine review sites) promotes all the products saying “Recommended” lol. May I ask what might be their intention if they ask you to buy every product they recommend or they recommend every product? Best for: Website owners who are interested for additional traffic via push notifications. Summary: Using a plugin for push notification you can promote affiliate offers to your website visitors or you can use Facebook Chatbots to promote affiliate offers. I have personally reviewed 75+ make money online products in this websites. I have read 100’s of make money online products sales pages, most of them sound similar and use the same style, format, techniques and even same statements. For example, in their sales page they claim that its a brand new method. For me to be honest its not at all a brand new method, not only for me for any intermediate affiliate marketer knows about this push notification plugin. I do know about this method (Push notification) and also reviewed few products which recommending this same technique. For more information you can check my reviews of Is Funnel World A Scam? and What Is Secretly? We called it Insta-Minator because; It gets Insta-Results and is Insta-Easy. 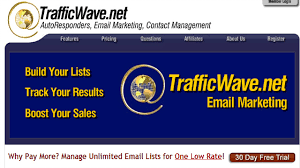 With the software you can send instant and automated msgs to your visitors, in the training we show how to drive those visitors and generate commissions. Its a Simple system and Cash-making system. Its all about Affiliate Marketing. Using a plugin for push notification you can promote affiliate offers to your website visitors or you can use Facebook Chatbots to promote affiliate offers. I do have reviewed few of Jason Fulton and Mosh Bari products. You can read those reviews by clicking on the product name, they are Is Re-Kaching A Scam? and Is Profiteer A Scam? The below details will give you helpful information on what you will learn from this product, a walk-through on the members area. I am just including one of their case study so that you can get helpful insights, Watch the below case study video (Video duration 3.12 minutes). In the step 1 and step 2 they talk about “Money Machine Page” and “Drive Free Targeted Visitors To Your Money Page” Page? Which is Webpage! They said in their sales page there is no need of website??? You need a website and with just Facebook Chatbots its really hard to promote Affiliate products even Facebook don’t like it. You need to have a website and create some content and when someone visits your site a pop-up will show up asking them to sign up for the notifications. If they sign up you can send notifications to them. Most of the time people don’t sign up and on the other hand if you are a great authority in your niche and well-known blogger or internet marker then only people sign up for this notifications. My question is how they gonna drive traffic to the website in first place? They said writing content and blogging is not necessary. Without content, keyword research, SEO its not possible or its hard to drive free traffic for your site. To get organic traffic it takes time and you need to produce quality content and there is no much training on this important part. To be honest in my point of view if there is upsells means the product is not complete. $12.95 is just the beginning and just calculate the total price of the OTO’s and the sad thing is for a newbie even with all the OTO’s its not easy to attain success. Affiliate Marketing is one of the best way to earn money online. No training on SEO to get organic traffic. Push notification concept is not a brand new one and Push notification plugin is available for free within WordPress. They claim website is not needed and no skills needed but both are necessary. It will take time and effort to earn money online. Just 15 minutes per day and earning $333.54 starting as soon as tomorrow is really hard to digest and its not possible for everyone or not possible for many. Established website owners or authority in their niche who are interested for additional traffic via push notifications. No, Insta-Minator is not a scam and they do provide some helpful information but its not complete. To be honest that’s how I make money online and I am a full-time Affiliate Marketer so Affiliate Marketing works. But you need to learn it in the right way and need to get complete knowledge in order to succeed. Many are earning a full-time income from Affiliate Marketing it takes time, effort and work to succeed online. Since 2008 I was trying to make money online, I tried different make money online programs, brought few make money online programs and lost nearly $4000. I tried paid to click, surveys, ad posting, captcha typing, transcription, virtual assistant, data entry, email reading, even blogging and affiliate marketing and I failed. In September 2016 I discovered a genuine method to build a long lasting online business then I learned how to do it. Please remember before earning you need to go through the proper learning. Since December 2017 I am a full-time Affiliate Marketer and blogger working from the comfort of my home (Whether you believe it or not) this is the truth. Its possible but the sad thing is, it will not make you rich overnight, you won’t make $100, $200, $300 etc., within 24 hours. It taken 6 months for me to earn my first online earning and it gradually increased and helped me to quit my day job. Need help with anything I discussed here on What Is Insta Minator – Is It Really Possible To Earn $333.54 Per Day? Insta Minator looks like a scam to me. For one thing, the names of the other programs that the founders run sound like scams, Instant Commission Profits and Payday Tornado. Also, there’s the idea of using chatbots to promote affiliate programs without a website. Most affiliate programs don’t let you join if you don’t have a website. And it looks as though you have to buy a lot of expensive upsells for the whole program. One of them costs nearly two hundred dollars. It would cost about six hundred dollars to buy the whole program. Indeed just $12.95 is not going to be enough and you said it well “Most affiliate programs don’t let you join if you don’t have a website” thanks for adding value to my review via your comment. I like this review very much.This is an amazing review.I was heard little about insta monitor by which one can earn a lots of money.But i wasn’t learned properly about insta monitor. So,i was looking for a article where i can get all the details of this.Fortunately i came to your article and i have gained all the thorough details in this purpose.Insta monitor is also suitable for a beginner as there is no required previous experience which thing has impressed me the most.I have also learn that it is not a scam but 100% legit program.I am very excited to join this insta monitor as you highlighted the article so nicely.This article is very helpful for those people who want to know perfectly about insta monitor.I will share this article with my friends and relatives so that they can benefited from this. I am happy that my Insta-Minator review gave you some helpful insights. I’ve really enjoyed reading this article on “Insta Minator” as you’ve provided us with tonnes of valuable information on this platform. Just a question of curiosity, in case if I’m not happy with the service they offer, do they give you a full refund? Thanks in advance for answering my question and for this detailed blog. Keep up the good work Paul! Yes 30 Days Money Back Guarantee. If after trying the system for some reason you DON’T start making profits… Just let them know within 30 days and they’ll send you a complete refund. This is what they stated in their sales page. Hope this helps!